From chef and creator of the popular food blog Domesticate-Me.com, 125 outrageously delicious yet deceptively healthy recipes for dudes (and the people who love them), accompanied by beautiful full-color photography. Dudes. So well intentioned when it comes to healthy eating, even as they fail epically in execution—inhaling a "salad" topped with fried chicken fingers or ordering their Italian hero on a whole wheat wrap (that makes it healthy, right?). There are several issues with men going on diets. First, they seem to be misinformed about basic nutrition. They are also, generally, not excited about eating "health food." You can lead a dude to the salad bar, but you can’t make him choose lettuce. Enter Serena Wolf—chef, food blogger, and caretaker of a dude with some less than ideal eating habits. As a labor of love, Serena began creating healthier versions of her boyfriend’s favorite foods and posting them on her blog, where she received an overwhelming response from men and women alike. 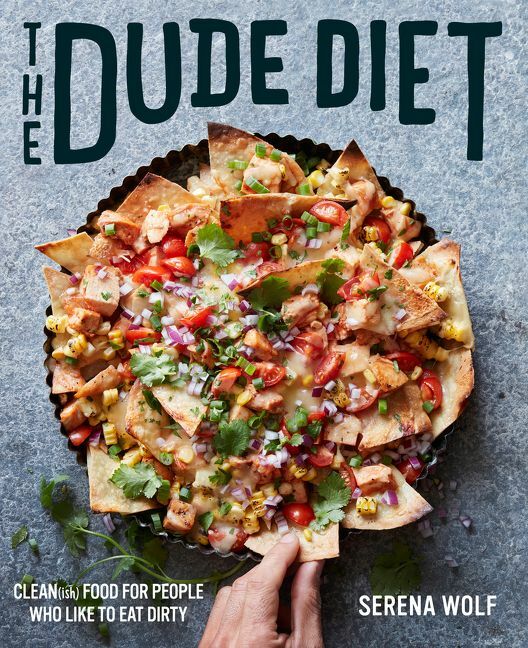 Now, in The Dude Diet, Serena shares more than 125 droolworthy recipes that prove that meals made with nutrient-dense whole foods can elicit the same excitement and satisfaction associated with pizza or Chinese take-out. The Dude Diet also demystifies the basics of nutrition, empowering men to make better decisions whether they’re eating out or cooking at home. Better still, each recipe is 100% idiot-proof and requires only easily accessible ingredients and tools. With categories like Game Day Eats, On the Grill, Serious Salads, and Take Out Favorites, The Dude Diet will arm dudes and those who love them with the knowledge they need to lead healthier, happier lives—with flattened beer bellies and fewer meat sweats. The Dude Diet includes 102 full-color photographs. After graduating from Harvard in 2009, Serena followed her passion for food to Le Cordon Bleu Paris, receiving her cuisine diploma in 2011. Since then, she has put her culinary skills to work as a private chef, food writer, recipe developer, and blogger at Domesticate-Me.com. She is currently a food contributor for ELLE.com and a member of SELF Magazine’s SelfMade Collective (an elite group of 25 influencers in the lifestyle space), as well as the former private chef for two players on the New York Giants. She also creates regular video content for her growing YouTube channel. 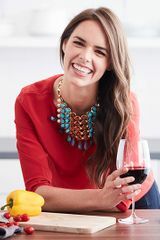 Serena’s writing, recipes and photography have been featured on The Huffington Post, SHAPE.com, SELF. Com, BetterHomesandGardens.com, WomensHealth.com, BuzzFeed and POPSUGAR among others. She has also appeared as a guest on The Dr. Oz Show and Martha Stewart’s Radio Show "Mostly Martha."